Sun in Capricorn’s focus on rules and responsibility will clash with Moon in Leo’s need for sparkle. 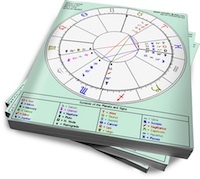 Capricorn will be busy working, and Leo could end up sitting at home alone, feeling neglected. However, both want status and are willing to pour their energy into a long-term commitment, which could be a commonality that keeps them together. Sun in Capricorn is one of the more ambitious signs. He uses his focus, discipline and business savvy to achieve considerable success. His partner should be prepared to share him with his career, because as much as Sun in Capricorn will commit to building a relationship, his purpose is rooted in manifesting external social position. He’ll give his partner everything she wants, but it will be her responsibility to nurture the relationship’s emotional content. Moon in Leo needs a partner who treats her like a queen. She has love and loyalty to burn, but the lover who activates it will be the one who puts her on a pedestal and keeps the romance alive (expensive gifts always help). Satisfied Moon in Leo can be a fiercely proud, domestic goddess. But when she feels ignored, bored or unable to express her feelings, she can become demanding and childish. Sun in Capricorn will be unimpressed with Leo’s dramatic temper tantrums (usually triggered when she feels that he’s spending too much at the office). Even though he’ll work to provide Moon in Leo with all the comfort and status she can handle, he won’t rush to provide sparkly romance or indulgent displays of affection. But if she can understand that Capricorn shows his love by honoring his responsibilities — and if he can comprehend that the occasional bouquet of flowers (for no reason) will stoke her fire — these two might be able to make it work. They both want the best in life, and together they can have it.